Ice cream is pretty simple to make, but can be tedious and time-consuming. This one is too simple. You won’t believe it’s as good as I’m telling you. I didn’t believe it either. I read about it over a month before I finally made it … what a waste of time. If you like ice cream, you have to try this. It’s amazing. Did you read those ingredients or just skip over? Go look again, make sure you get what I’m saying. Just bananas. And maybe a little milk just to make it go faster. The earliest reference I can find to this recipe is from The Kitchn, where it was published last summer. 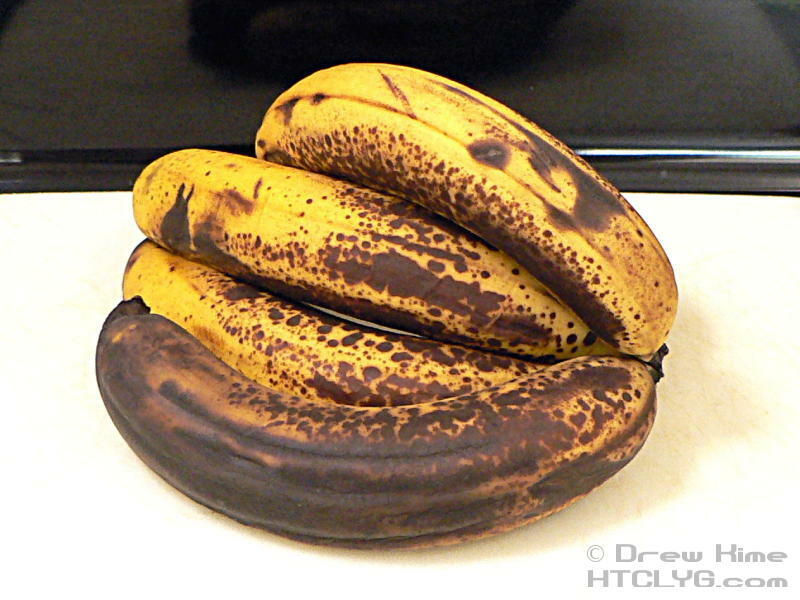 Peel some over-ripe bananas. The ones that usually end up in banana bread during the cooler months. Chop into pieces that will fit in your food processor or blender. 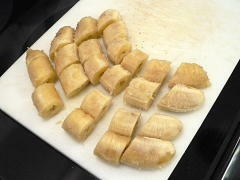 Pop them in the freezer for at least an hour. Put the frozen pieces in your food processor. Pulse a few times to break up the big pieces. Hold on tight, it will rock a bit when the blades catch on the big chunks. At first it will look chunky and granular. 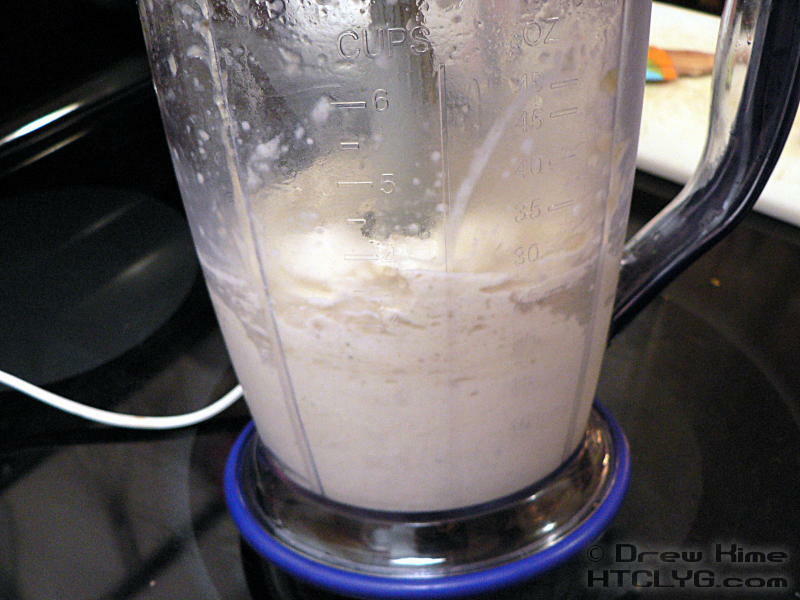 If you’re super-impatient, add a splash of milk to hurry the process along. But you don’t really need it. 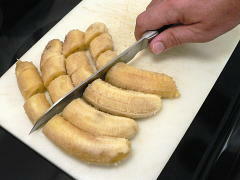 Just keep scraping down the sides and processing and it will suddenly get all creamy and smooth. 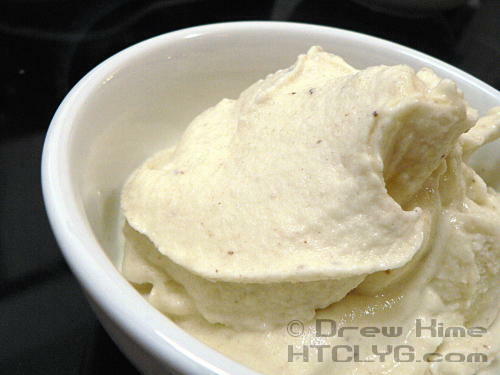 It’s got the consistency of soft-serve custard. 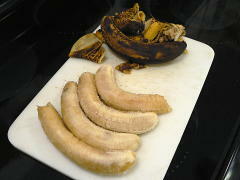 When bananas are past their prime and almost too mushy to work with, they have much less banana flavor. My wife was even more skeptical than I was that this would work. I let her taste mine and didn’t get my bowl back. Good thing I still had more in the Ninja. 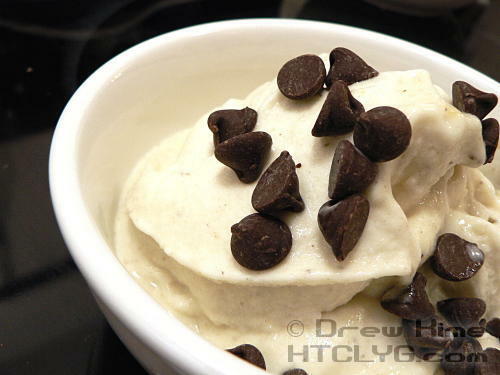 And some Ghirardelli semi-sweet chocolate chips. Peel the bananas. 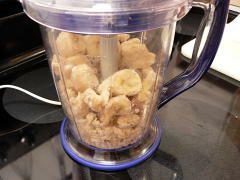 (This works best with bananas that are past their prime, nearly too mushy to work with.) 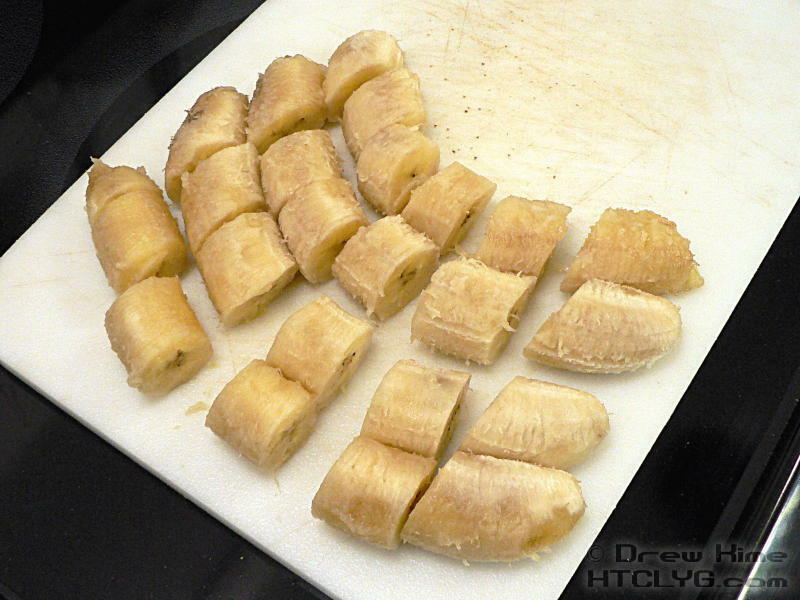 Cut into pieces that will fit into your food processor or blender. Freeze the banana pieces for at least an hour. 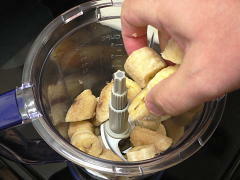 Place the frozen banana in your food processor and pulse until ground up. Scrape down the sides. 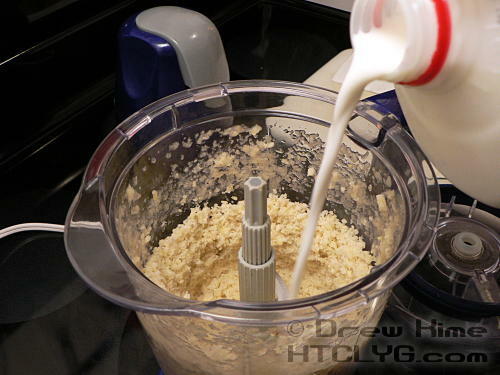 Keep processing until it becomes smooth and creamy. A splash of milk will speed up the process.